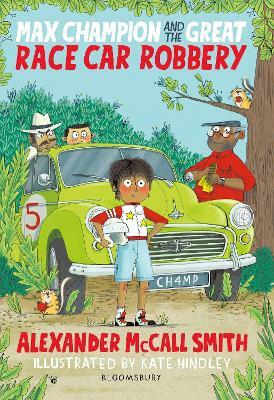 Start your engines and get in gear for an action-packed story from the bestselling author of The No.1 Ladies' Detective Agency series, Alexander McCall Smith, with fun and energetic illustrations by Kate Hindley. When Max finds an old car that has his last name - Champion - on th... read full description below. Alexander McCall Smith CBE is the author of over sixty books, including the internationally bestselling series The No. 1 Ladies' Detective Agency. He has won three Author of the Year awards (British Book Awards, Booksellers' Association and Waterstones). Alexander lives in Edinburgh, Scotland. Kate Hindley lives and works in Birmingham (near the chocolate factory). She studied Illustration at Falmouth College of Art and went on to work for two years as a children's print designer whilst working freelance on children's books and greetings cards. Kate's first picture book, The Great Snortle Hunt, written by Claire Freedman, was longlisted for the 2013 Kate Greenaway Medal.